NALIPster Matias Nilsson's film Welcome Back has been chosen as an official selection in the 2018 Newport Beach Film Festival. The film will be part of the "Knock on Wood Shorts" program, where each film will be portraying characters facing the threat of being defined by their circumstances. 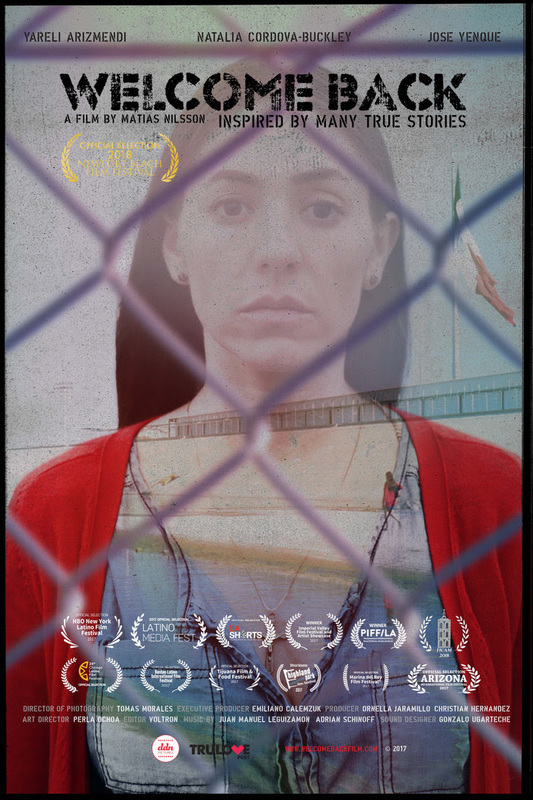 Welcome Back tells the story of Carmen, who is deported to Mexico. She must try to survive in a country she no longer understands, and look for an answer to where she is really from, and which country is truly her home. The short film previously screened at the 2017 NALIP Latino Media Fest as part of our Shorts Program. You can buy tickets to watch the short film, playing on April 28 at 8:30 pm at the Newport Beach Film Festival.